The Benefits of Hiring An Editor - M.W. As both a teacher and a writer, I know very well that at some point into your editing you can get a little word blind. Even after two other people went over your manuscript, things can still be overlooked. Most writers I know get beta-readers to help them out with feedback. Whether that feedback is on plot, characterisation, or syntax. And feedback is necessary, even if it’s just to confirm your own suspicions. Sometimes it’s hard to find people willing to invest time into reading your material, and they might read it like a reader, but that doesn’t mean they’d read it as an agent or publisher. It wasn’t until I hired a professional editor that I knew exactly how badly I needed one. That is not to say that my manuscript was lousy, but it needed a fresh pair of eyes, especially from someone who knew what she was doing. It was also very good to hear what I was doing well. Before I hired her, I did my research and chose this editor because she was a former agent. Twitter is a useful platform to find editors and check out their sites. Make sure you know what genre they represent and that you have a good idea of the kind of feedback they’ll provide. I only had the first three chapter edited, but there were other options. Usually, you can pick what suits you. You don’t immediately have to go for the whole shebang, which is also very expensive. Editors can tell you what’s missing and if you’re serious about getting published, I highly recommend hiring one at least once in your life. Twitter is a good source for finding editors. Be sure to do some research on costs and figure out what you’d want from this editor and how much you’re willing to spend. You could also communicate what you’d want from this editor and ask if they can help. If you absolutely cannot afford any editor at all, then wait until you can or find someone who will help you for free. Once you’ve found someone whose feedback is clear and helpful, it will be worth paying for, though. 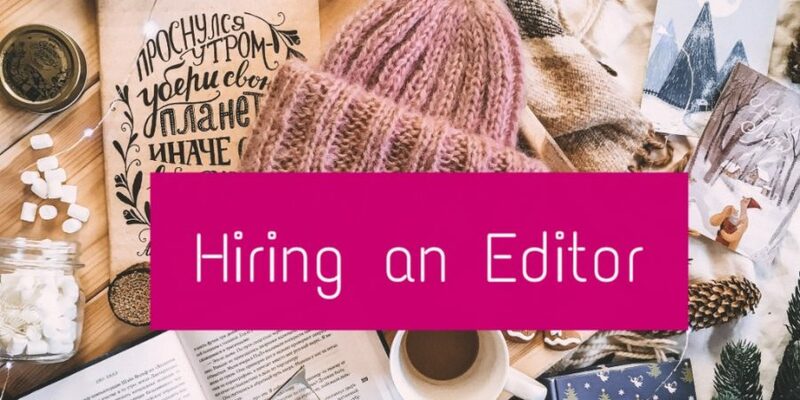 Have you ever hired an editor? What was your experience? Would you do it again? Next Post One Genre or Multiple Genres?